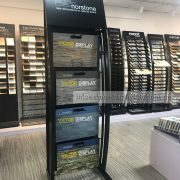 Great merchandising tools that allows for apparel to be face out in a small amount of floor space. 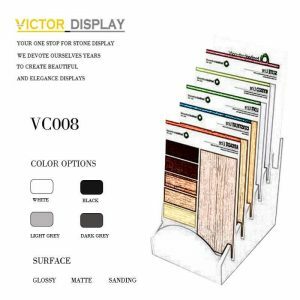 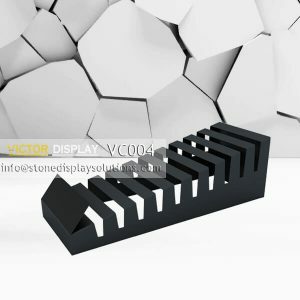 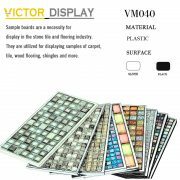 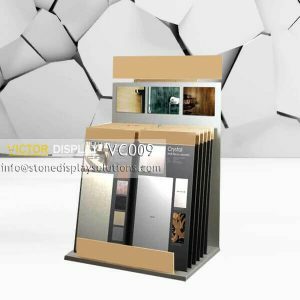 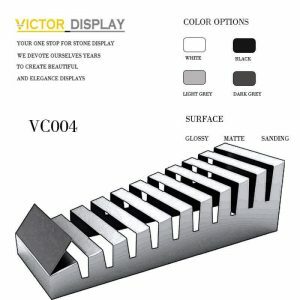 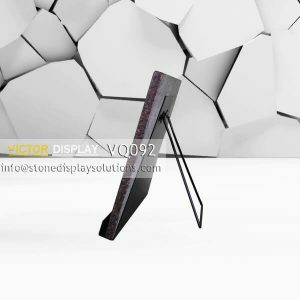 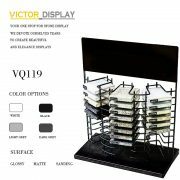 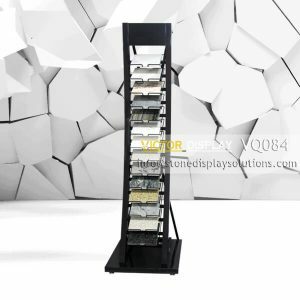 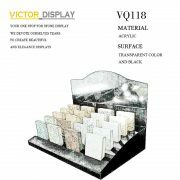 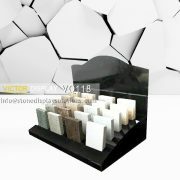 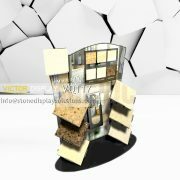 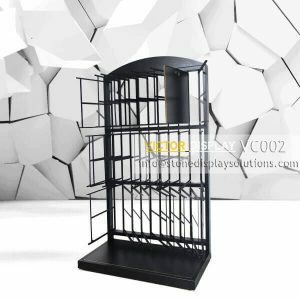 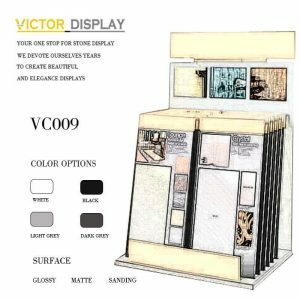 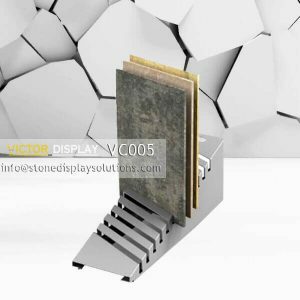 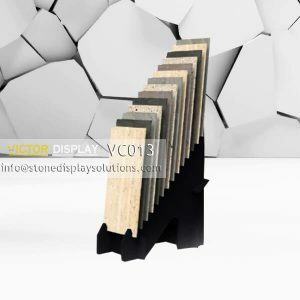 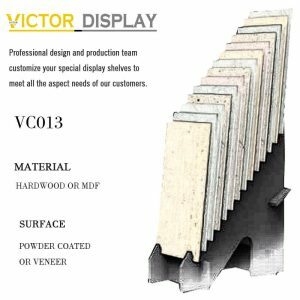 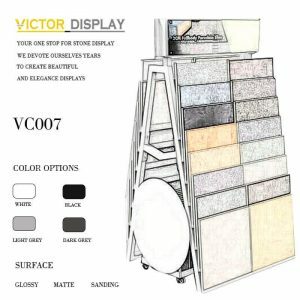 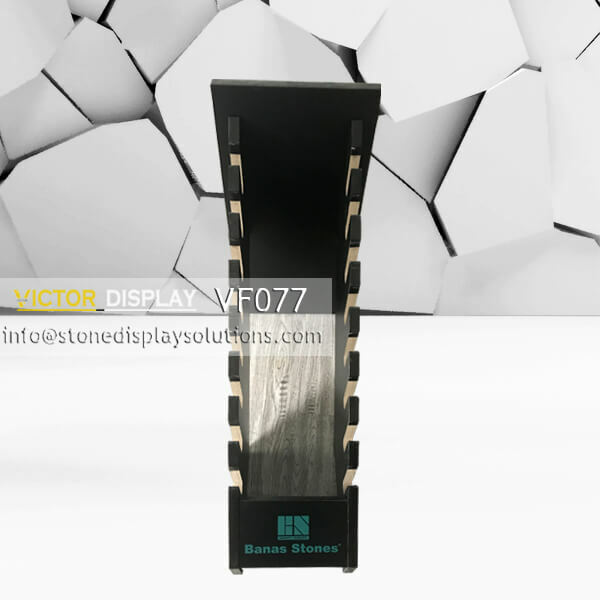 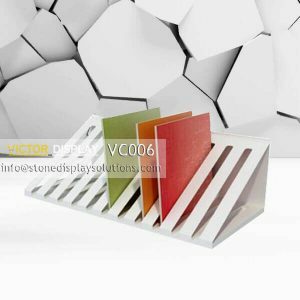 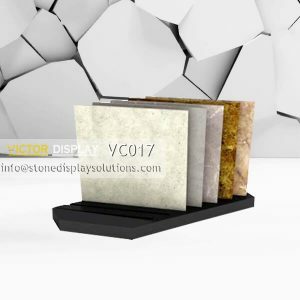 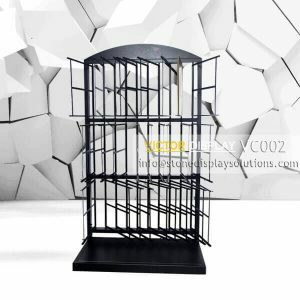 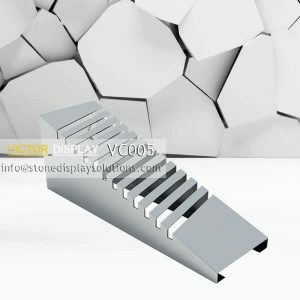 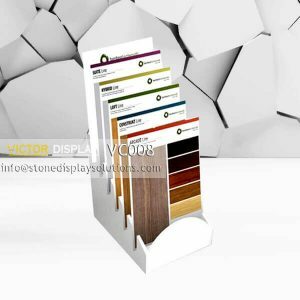 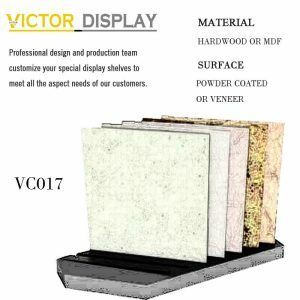 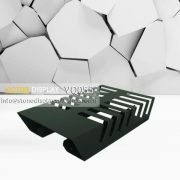 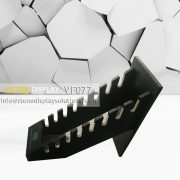 Display your finest stone tile samples and slabs with this “VF077 Waterfall Wooden Tile Rack”. 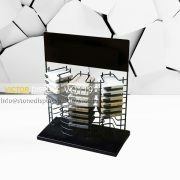 It can be accommodate up to 10 pcs. 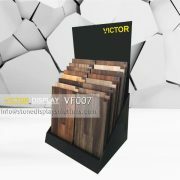 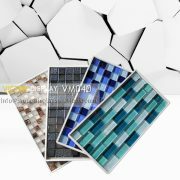 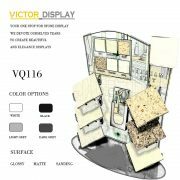 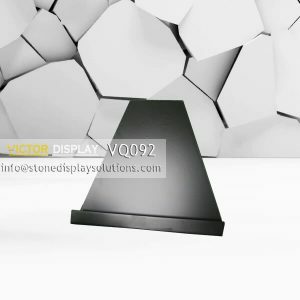 The waterfall design give products good exposure to your customers while black veneer surface make it won’t grab the limelight. 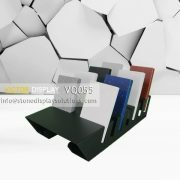 Silk-screen logo on the front, show obviously where who are these products.